As hopefully many of you know, Cody and I took a vacation to Miami Beach this past week! We have both been in desperate need of the beach for quite some time now and we were thrilled to finally get the opportunity to go. Unfortunately our trip was cut in half due to Hurricane Irma but that didn't stop us from having fun with the time we had! Boy, did we make the most of our 48 hours, but technically 72 hours, in Miami. 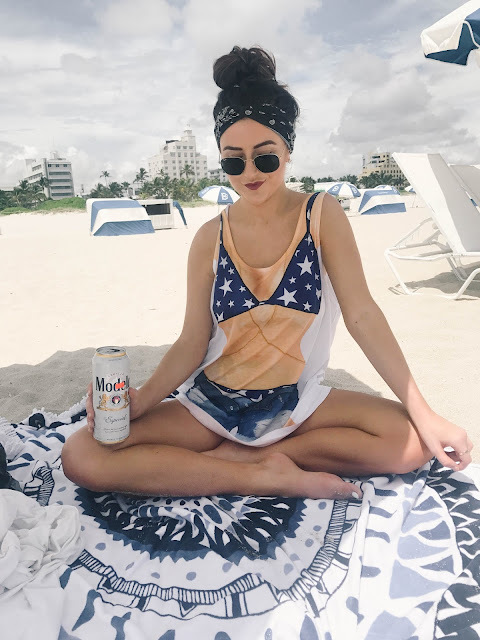 I wanted to roundup everything we did in our short time because I know a lot of people make short trips to Miami too, so if I can squeeze all these activities (and mostly food) into 48 hours, you can too! All the outfits in this post are linked at the bottom of each day, so if you want to know where anything is from, check there! It hurt my heart to see some of these places on the news these past few days due to Hurricane Irma, but I hope all of you that were in Florida and anywhere else effected by Irma, are okay! I love you guys! I unfortunately got a lot of hate during my time in Miami from people on Instagram saying it was heartless of me to go to vacation there knowing the hurricane would hit in the next few days. Cody and I booked everything more than a month ago to visit Miami and obviously when booking, we didn't even think of a hurricane occurring, let alone one of the biggest hurricanes to hit Florida ever. Our tickets were nonrefundable so we decided to hope for the best and go to Florida anyway, to make the most of the few days we might have there since we paid for it already. It wasn't "me not taking the hurricane seriously" because I was and once it got closer to the US and grew in strength, we handled our situation and moved our flights. I was by no means belittling anyone or anything. I just want to make that clear. That being said, once again, I hope everyone in Miami is okay, it's a beautiful city and I hope to return there again someday for more time. 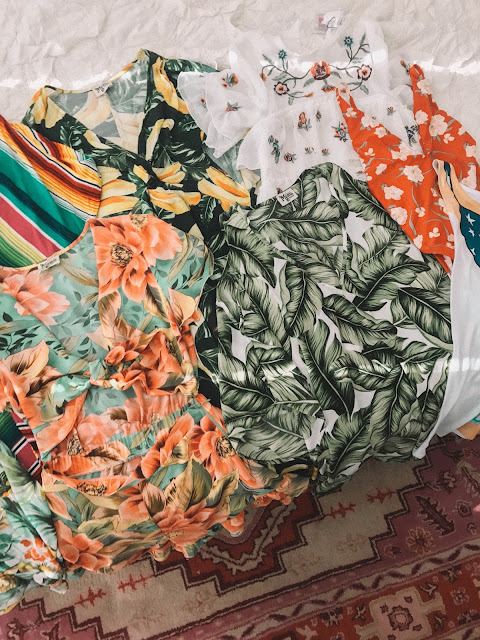 I spent the night before we left for Miami packing and I wanted to show you guys how I organize my thoughts when I pack because I am Type A af. Making lists is my anti drug. 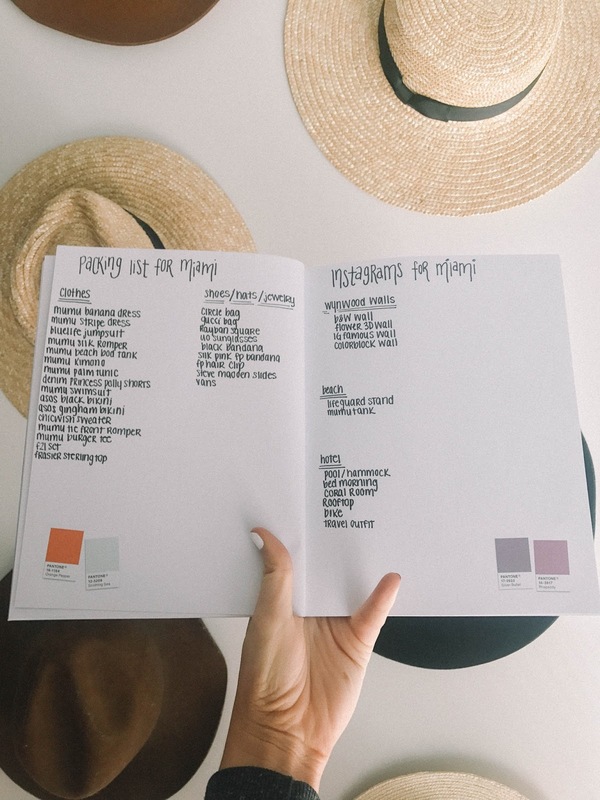 Organization, lists, pretty fonts, all of it. I make the same list multiple times. Why am I like this? I don't know. We started the day by waking up at 4 am to head to the airport to catch a plane to Miami, we landed around 9:00 and made it to The Washington Park hotel for an early check in around 10:30! This left the rest of the day to do everything we wanted to do. I never mind waking up early for a flight so I have more time to explore a city during the day. Once we got freshened up, Cody found that there was a Shake Shack in South Beach so that's where we headed first! We are big fans of their cheese fries, I've never had anything more amazing in my life... well until Wednesday... but we will go into that later. 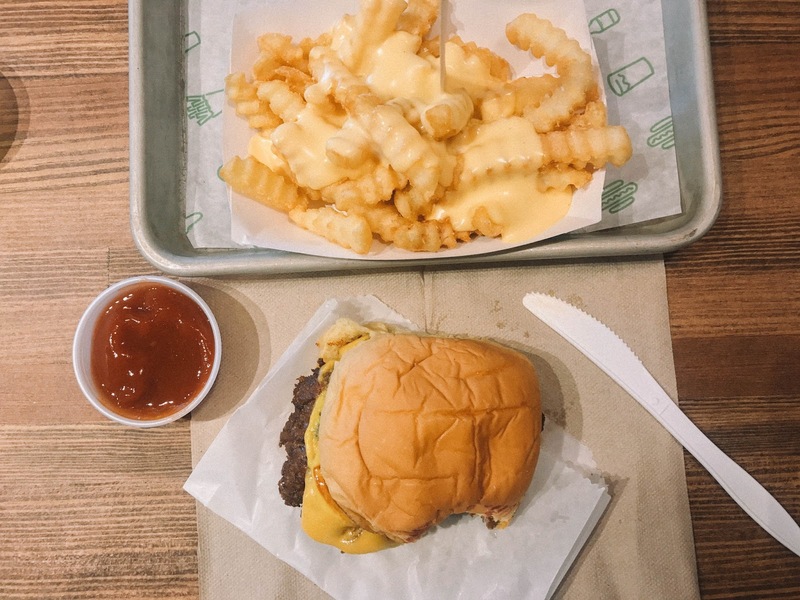 If you've never had Shake Shack, take my advice... Get the cheese fries. I'm indifferent about the burgers but THE FRIES. Yum. I needed a book to read by the pool because at the time we thought we would be in Miami all 5 days so we went to a bookstore called Books & Books right down the street from Shake Shack in the Lincoln Mall, which reminds me so much of Santa Monica's 3rd Street Promenade. Books & Books was so cool, they had books stacked up to the ceiling! Outside of the bookstore, Cody and I stopped to snap a few pictures! We then changed and went straight to the beach! The water was so clear compared to what I've seen the last few years at other beaches. It got a little toasty in the direct sunlight, so after an hour or two, we went to enjoy the Washington Park Hotel's pool. I love pools by the beach on vacation. I enjoyed a frosé from the hotel bar by the pool, Cody had a Miller High Life. Big Miller People here. I definitely recommend the frosé if you're staying at WPH! How cute was the swimsuit that I wore on Day 1 from Show Me Your Mumu?! I'm obsessed. Shocker. We got freshened up for dinner and headed to Kush near the Wynwood Walls for dinner. I read so many reviews online about how amazing their burgers were so I knew we had to go. They had an amazing craft beer list, if you're into that of course... Cody loves craft beer, so I am just going off what he said. The food was meh. I don't really recommend, I found it rather overhyped. Then we went to the tourist trap that is Ocean Drive for drinks and desserts because Cody wanted one of those goblets from Sugar Factory. He's #basic... Just kidding, he just really loves Sour Patch Watermelon and when he saw a picture of a drink with them in it, he knew he had to try it. It was so amazing! I got a fancy milkshake with Nutella and bananas & I have to say, I was very underwhelmed. I say if you stop at Sugar Factory, stick to the drinks. By the time we got our check, we decided it was time to walk back to our hotel to watch the premier of AHS. 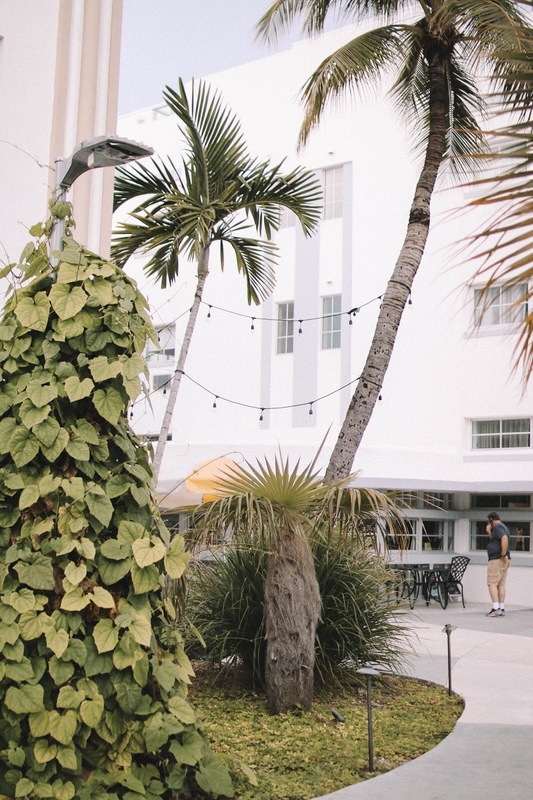 We loved the location of WPH to the beach and Ocean Drive, it's two blocks away! 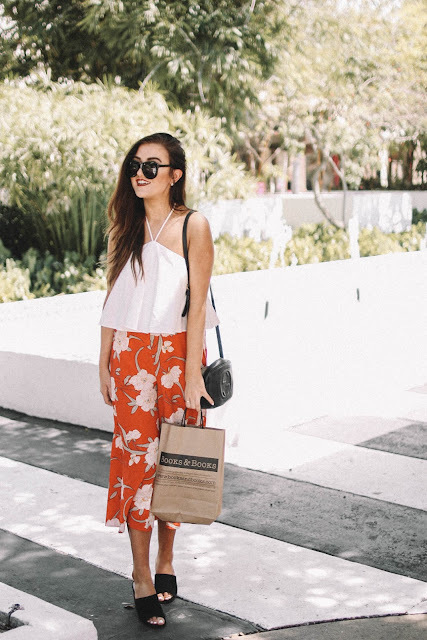 Shop the outfits from Day 1 here! The next morning we woke up craving some good breakfast that was in walking distance to the hotel, so I found a place on Yelp called The Front Porch Cafe. It was amazing. Cody opted for the French Toast which was unique because it had a kick of orange in the batter, he loved it. It reminded me of a lemon bar but orange and in a French toast form. What I really loved about this place is that they had half portions available, so I ordered a half portion of chocolate chip pancakes so I could get more sides... I like a variety clearly. The pancake to chocolate chip ratio was ON FLEEK. If you have ever ordered chocolate chip pancakes, you probably know how the ratio is hard to master, a lot of places either put too much chocolate chips or too little. Nope, not here, it was perfect. 10/10 would recommend. Didn't remember to take a picture before I ate it so this is what y'all get. Im a failure of a blogger, it's fine. 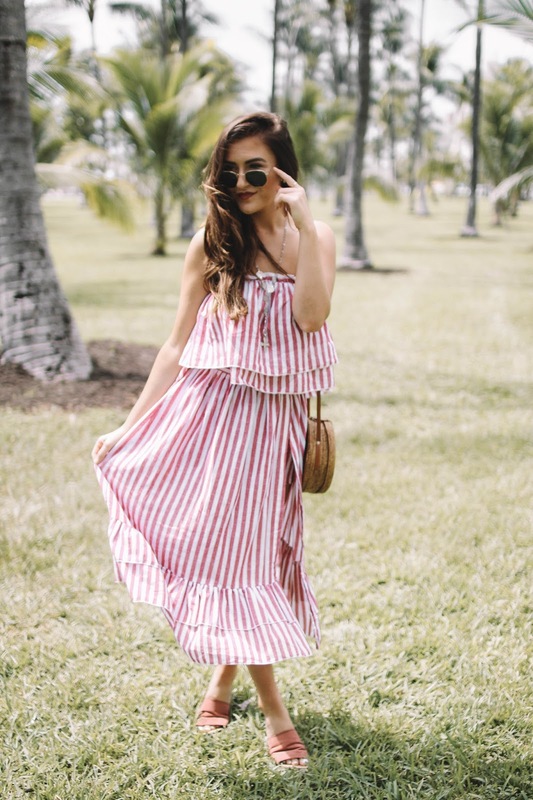 Then we went to Lummus Park, which conveniently was right across the street from the restaurant, to snap a few pictures in my SheIn set! It was the beach and pool time. Unfortunately though when we went to the pool, we realized it was closed down because they were starting to prepare for the hurricane that was about to hit. Totally understandable! We just packed our bags and went to the beach for a while. 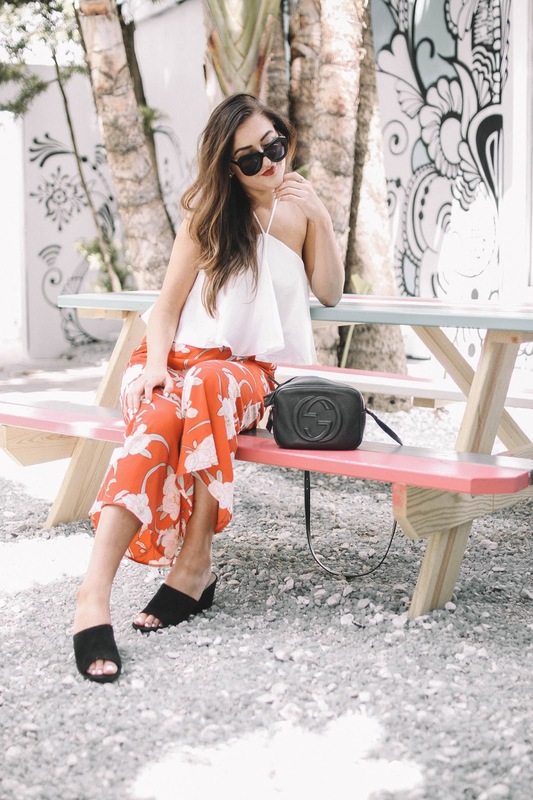 The next thing on our MUST DO list was visit Wynwood because I constantly heard so much about it and honestly it was definitely one of my favorite parts of the trip. I would love to go back someday and shop around. A majority of the stores were closed in preparation for Hurricane Irma, but that didn't stop us from walking around and enjoying the amazing wall art that this district is known for. It's so cool. I will be doing a travel guide for the Wynwood Walls later this week! While walking around taking blog photos, we stumbled into a few breweries so Cody could taste the local craft beer. I'm not a big craft beer person as I've noted before but I do enjoy sour beers. One of the breweries we went to, J Wakefield, had amazing sours. Both Cody and I were very impressed. For dinner we ate at Morgan's Restaurant in Wynwood. If you're visiting for Miami, you have to come here. Everything about this place is perfect. 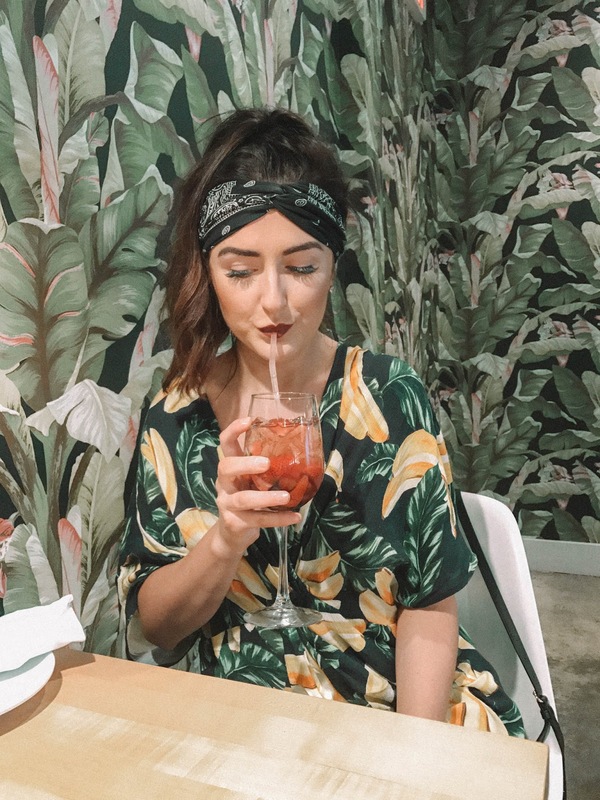 The have tropical palm leaf wallpaper, a neon rosé sign and the best food. I will be dreaming of this meal until I can go again next time I come to Miami. Cody and I both ordered the chicken & waffles sandwich. Game changer. If you're coming to this restaurant for that sandwich, split it with someone. It's huge. Cody and I didn't realize how large the portions were and we each only ate half. I also ordered a rosé sangria and HOLY WOW. Just go here. Just do it. Take my advice. Best meal ever. When we returned to the hotel after a long day of being out and about, we were informed that South Beach would be evacuating at 11 am the next morning... Our flight out wasn't until 9pm. So needless to say, we took the evacuation seriously and were checked out by 10am! We made the best out of the day by dropping off our bags at the airport then taking an Uber to the Coral Gables area of Miami. We decided to hit up Shake Shack... again... and catch a movie to kill time. Once we were done with that, we headed back to the airport and caught our flight home! 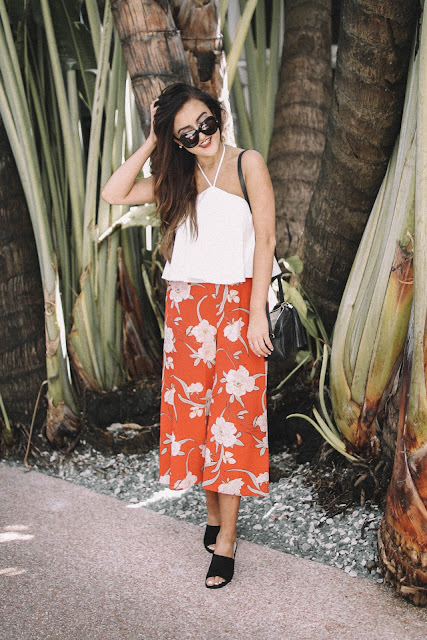 Shop the outfits from Day 2 here! 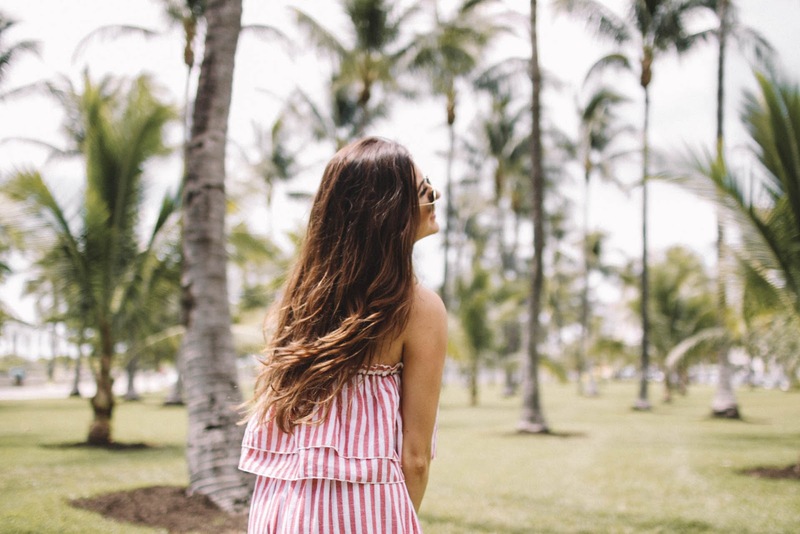 If you plan on traveling to Miami soon and want to be able to reference this easily, pin this to your Pinterest! That striped dress looks so fabulous on you Sarah!!! LOL people need to SERIOUSLY relax. I know people who also went on vaca to FL because their flights and hotel rooms were booked way far in advance. Who cares, mind your own biz. Love all your outfits from this trip btw! the black bikini is soooo nice on you! 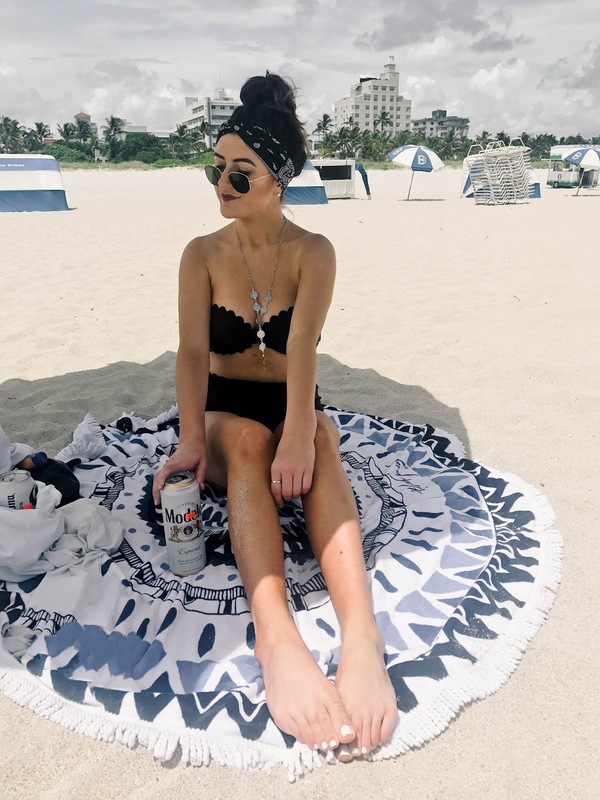 Thanks for sharing your great Miami South Beach experience! Your dresses look so fabulous on you. I also have a wonderful experience in Miami, special for the Wynwood food. 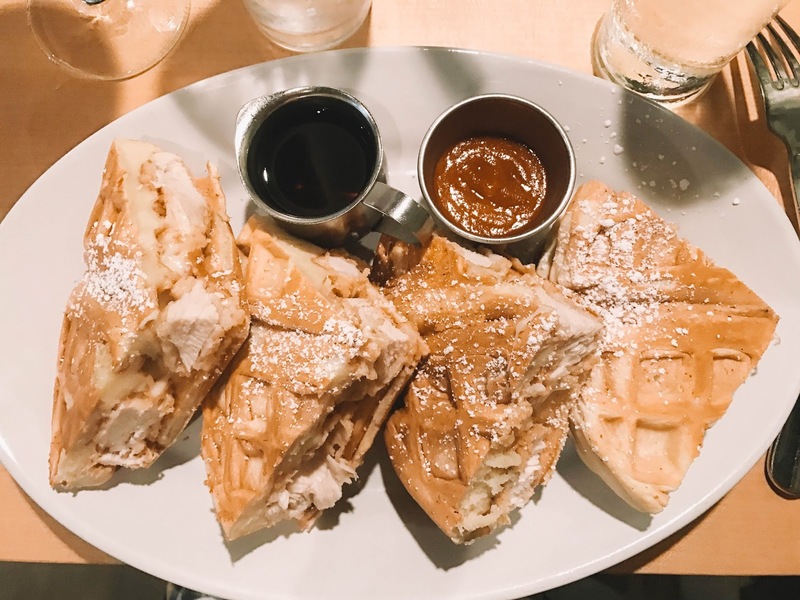 Wynwood restaurants serve the best food in their city.